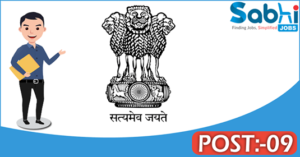 Government of Assam recruitment 2018 notification has been released on official website www.jorhatjudiciary.gov.in for the recruitment of total 09 (nine) jobs out of which 04 (four) vacancies for Process Server, 05 (five) for Peon Vacancies. Job seekers should apply on or before 15 days from the date of Advertisement. Educational Qualification: H.S.L.C. standard and under graduate course or equivalent for S.no-1. Class VIII standard or H.S.S.L.C. (Higher Secondary) or equivalent for S.no-2. Fee charges: Applicants who wanted to participate for Government of Assam should pay the below charges through online mode (Debit or Credit Card / Net Banking). Interested and eligible aspirants may apply self-attested photo copies of all documents/ testimonials, Original copy of Postal order & One self-addressed envelope, 3(three) copies of recent passport size photograph send by hand to District & Sessions Judge, Jorhat (Assam) on or before 15 days from the date of Advertisement.